Late in 2014, I ran into a problem installing Microsoft .NET Framework 3.5 on Windows 8.1 Enterprise with Update (x64) through an SCCM 2012 R2 Build and Capture task sequence. This process had worked in the past to successfully enable .NET Framework 3.5 during the Build and Capture task sequence, but when I ran the same Build and Capture task sequence a few months later, the Run Command Line step that executes the DISM command failed. The package that copied the sources\sxs directory was still able to successfully copy the files, but according to the logs, the DISM command couldn’t find files that it needed. Encountered an unknown option "featurename" with value "NetFx3"
Encountered an unknown option "source" with value "C:\DVD\sources\sxs"
I was using the command line exactly as specified by Microsoft, albeit with a different path to the source files. How could DISM not know the FeatureName and Source options? Failed to run the action: Install .NET Framework 3.5 (from \sources\sxs\). I had not changed the sources\sxs package in this time. The only change that I made between the command working a few months earlier and it now failing was to apply Software Updates to the Windows 8.1 install.wim file using offline servicing, but it didn’t occur to me that this would cause the problem. Some Googling turned up an informative post at http://www.aidanfinn.com/?p=13351, where two Microsoft hotfixes, KB2966826 and KB2966828, were identified as the cause of the DISM failures. I ran my Build and Capture task sequence using the new WIM that did not have KB2966826 or KB2966828 installed, and .NET Framework 3.5 installed successfully. Because the KB2966826 and KB2966828 hotfixes are still available to the reference computer during the Build and Capture task sequence, they are installed through a typical Install Software Updates step that occurs after the .NET Framework 3.5 steps. The resulting WIM is fully patched and ready for use in an OSD task sequence. Note that there is now a KB article addressing this problem, and a hotfix to remove the hotfixes from systems where they are not required: Update for the .NET Framework 3.5 on Windows 8, Windows 8.1, Windows Server 2012, and Windows Server 2012 R2. However, I still follow the steps above to build my reference computers. It may be helpful to check the registry to determine which versions of .NET Framework are installed. I have found two Microsoft articles dealing with this issue. The first, How to determine which versions and service pack levels of the Microsoft .NET Framework are installed, does not identify registry values for versions 4.5.1 or 4.5.2. The second, How to: Determine Which .NET Framework Versions Are Installed, identifies registry values for determining which version of .NET Framework 4.5 and later is installed, and offers a different method of determining the version(s) of .NET Framework 1 – 4. Microsoft Security Update for Windows 7 for x64-based Systems (KB2984976), titled RDP 8.0 update for restricted administration on Windows 7 or Windows Server 2008 R2 and released on October 14, 2014, as one of that month’s Patch Tuesday updates, appears to cause multiple restarts when applied during the Install Software Updates step within a System Center Configuration Manager Task Sequence. The second restart is not controlled by the Task Sequence engine and causes the engine to be unable to resume the Task Sequence when the computer comes back up after the second restart. The Task Sequence therefore fails to complete. This behavior is a known issue with software updates that require multiple restarts, as documented in KB2894518, titled Task sequence fails in Configuration Manager if software updates require multiple restarts. Microsoft’s recommendation in KB2894518 is to deploy those updates that require multiple restarts outside of a Task Sequence. If your patching procedure is to deploy Software Updates and other application updates during a maintenance Task Sequence and a hotfix is applied during the Install Software Updates step that causes multiple restarts, then the Task Sequence fails and potentially causes computers to go unpatched until they next run the Task Sequence. Therefore, it is important to quickly identify problematic hotfixes and deploy them outside of the Install Software Updates step in the Task Sequence. Failed to locate the local data path. The files needed to resume the task sequence are missing. This could be because the task sequence finished while in Windows PE. Please check the largest available partition for SMSTSLog\smsts.log file for more information. 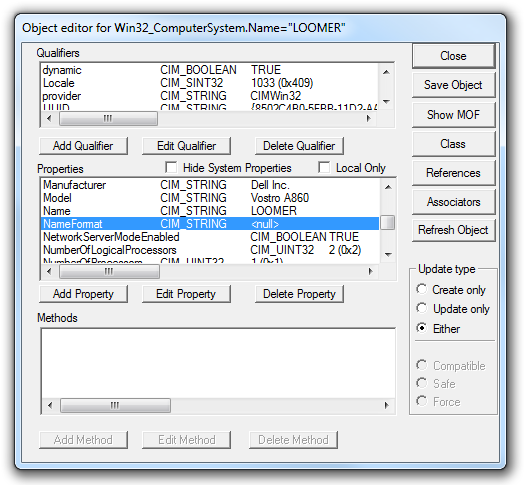 The exact language of the entries will vary based on the version of SCCM, with the above coming from SCCM 2012 R2. Until I can figure out how to tell whether an update is going to schedule its own restart by observing some property of the hotfix itself, I’m left using a time-consuming process of elimination to determine which hotfix is responsible for the second restart during a Task Sequence. In our environment, we run updates through SCCM on both our 64-bit Windows 7 workstations and our Windows Server 2008 R2 servers, and sometimes these two platforms receive different updates. When the Task Sequence failure occurs on only one platform, the first thing I do is to look at the hotfixes that are not applied to both platforms. This month, fourteen hotfixes that require a reboot are installed on our workstations during the Task Sequence. Below are the entries written to the Setup log in Event Viewer on a Windows 7 workstation, where a second reboot occurred. Items followed by an asterisk “*” also appear in the Setup log in Event Viewer on a Windows Server 2008 R2 server, where a second reboot did not occur. A reboot is necessary before package KB3001554 can be changed to the Installed state. A reboot is necessary before package KB2952664 can be changed to the Installed state. A reboot is necessary before package KB2984976 can be changed to the Installed state. To work through the suspect hotfixes, I set up a VMware virtual machine that was patched up to September 9, 2014. I created a snapshot of this test computer and then ran the maintenance Task Sequence on it to confirm that the Task Sequence abruptly ended during the Install Software Updates step. Next, I selected one of the hotfixes to eliminate. My first choice was KB2952664 because it has a long and troubled history and seems to not be necessary in our enterprise environment. Even this month, it seems to be problematic, as it was released on October 14, then re-released on October 16. See the InfoWorld article Windows 7 patch KB 2952664 fails with error 80242016 for more on the struggles Microsoft has had with this hotfix. I removed KB2952664 from the Software Update Group deployed to the test computer, reverted to my snapshot and ran the maintenance Task Sequence again. It still ended abruptly, so KB2952664 was not the culprit. Without re-adding KB2952664 to the Software Update Group, I removed KB2984976 from the Software Update Group. The KB2984976 hotfix deals with RDP and shares files in common with the last hotfix to require multiple restarts, KB2965788 (which was the subject of a similar blog post that I wrote about this problem back in June). Microsoft has now included KB2965788 among those hotfixes listed in KB2894518. I reverted to my snapshot again and with KB2984976 unavailable to my test computer, the Task Sequence was able to proceed through the Install Software Updates step, indicating that KB2984976 is responsible for the multiple restarts among the October Patch Tuesday updates. If anyone has a better method of identifying whether a hotfix is going to schedule a restart that is not controlled by SCCM, please post a comment. I would love to find a faster way, possibly by looking at how these hotfixes schedule the restart differently than most updates. Microsoft Security Update for Windows 7 for x64-based Systems (KB2965788), which was released on June 10, 2014, as one of that month’s Patch Tuesday updates and titled MS14-030: Description of the security update for Remote Desktop Security Release for Windows: June 10, 2014, appears to cause multiple restarts when applied during the Install Software Updates step within a System Center Configuration Manager Task Sequence. The second restart is not controlled by the Task Sequence engine and causes the engine to be unable to resume the Task Sequence when the computer comes back up after the second restart. The Task Sequence therefore fails to complete. This behavior is a known issue with software updates that require multiple restarts, as documented in KB2894518, titled Task sequence fails in Configuration Manager if software updates require multiple restarts. Failed to restore logs from cache. Execution history may be lost. Microsoft’s recommendation in KB2894518 is to deploy updates that require multiple restarts outside of a Task Sequence. If you choose to deploy hotfix KB2965788 as a traditional package or an application using a required deployment, it can be downloaded from Security Update for Windows 7 for x64-based Systems (KB2965788). I was running into a problem with the installation of Microsoft .NET Framework 4.5.2 during an SCCM 2012 SP1 build and capture Task Sequence, both in Windows 7 and Windows 8.1, wherein the installer was running but the log files were not being created. I was using the Application model in SCCM and executing the offline installer executable with the command line “NDP452-KB2901907-x86-x64-AllOS-ENU.exe /q /norestart” through a VBScript wrapper script. Failed to run the action: Microsoft .NET Framework 4.5.2. If I ran my installation wrapper script from the ccmcache subdirectory while logged on as the local administrator account, the .NET Framework 4.5.2 installation ran successfully. According to the MSDN page .NET Framework Deployment Guide for Administrators, log files are written to “%temp%\Microsoft .NET Framework 4.5*.txt” and “%temp%\Microsoft .NET Framework 4.5*.html”, but neither of these logs existed on my Windows 7 and Windows 8.1 systems after the installation failed. [5/22/2014, 16:42:36] Error 0x80004005: Failed to extract all files out of box container #0. The resolution described in the thread is to edit the properties of the Deployment Type to enabled “Run installation and uninstall program as 32-bit process on 64-bit clients.” (This setting is found on the Programs tab.) I modified the Deployment Type properties to run the installer as a 32-bit process and indeed it did install successfully during the task sequence. Using the registry to determine the installed version of .NET Framework is rather tricky, but for versions of .NET Framework 4.5 and later, see How to: Determine Which .NET Framework Versions Are Installed. P.S. I expect, but will have to validate, that this method of running the installer as a 32-bit process might help with other applications that fail to install during a task sequence but run successfully via Software Center or Application Catalog when a user is logged on. This post is a collection of some of the more commonly used command line utilities when doing basic troubleshooting in a Windows domain environment. 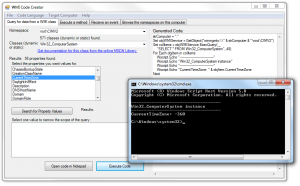 To open a command window within a directory from Windows Explorer, hold the Shift key and right-click on the directory, then choose “Open command window here”. Displays the name of the current directory or changes the current folder. Used within a command window to change the current active directory, allowing navigation through the computer’s mapped drives and their directory structures. Moves to the root of the current drive. Moves to the parent directory of the current directory (move up one directory toward the root). If the current directory contains multiple matches for the characters typed, hitting tab again will cycle to the next match. Displays a list of a directory’s files and subdirectories. Displays the directories and files in the current directory. Displays the directories and files in the current directory and all sub directories. Dir can also be used to search for a file, and in many cases it works better than the Windows Explorer search. Displays a list of all instances of a file named “findme.txt” on the C: drive. It’s also possible to navigate to a location, such as the root of C:, and type: dir /s findme.txt to search that location and all subdirectories for a file named “findme.txt”. Wildcards are allowed in the form of an asterisk. For example, type: dir c:\*.doc /s to search the C: drive for all files with a .doc or .docx extension (I’m not sure why it also locates .docx files, when there is no wildcard specified at the end of the extension, but it does). Another command line utility for searching for files is where, but the syntax is slightly more complicated. Refreshes local and Active Directory-based Group Policy settings, including security settings. If you absolutely must reapply all settings, you can use the /force switch. After reading about the difference between gupdate and gpupdate /force, I now feel that gupdate is sufficient to reapply group policy nearly all of the time, and the /force switch shouldn’t automatically be used. 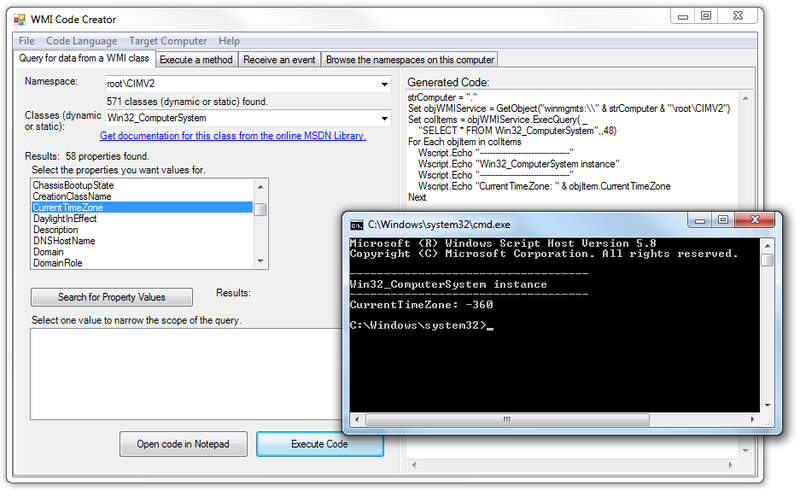 Displays Group Policy settings and Resultant Set of Policy (RSOP) for a user or a computer. Displays RSoP summary data, which includes the last time group policy was applied, from which server group policy was applied, and the groups for which the current user is a member. Generates a report of the applied group policy settings and saves it in HTML format as a file named gpreport.html. When generating a report as a user that is not a local administrator, either supply a full path to a valid location for gpreport.html, or navigate to a location (like the Public Documents directory) before running the command, or else the utility may be unable to create the report due to insufficient rights to the current directory. Display the computer’s IP address and default gateway, for each network adapter. Displays full TCP/IP information, including the MAC address, DHCP server, and DNS servers, for each network adapter. Lists all of the computer’s connections (mapped network drives). Removes the connection currently mapped to the local E: drive. Displays information that you can use to diagnose Domain Name System (DNS) infrastructure. Queries the local computer’s default DNS name server for information on the specified IP address or computer name. Supply either piece of information and nslookup will return both pieces. It’s also possible to specify a particular DNS name server to be queried, which is useful when troubleshooting whether DNS is propagating/replicating correctly. Verifies IP-level connectivity to another TCP/IP computer by sending Internet Control Message Protocol (ICMP) Echo Request messages. The receipt of corresponding Echo Reply messages are displayed, along with round-trip times. Ping is the primary TCP/IP command used to troubleshoot connectivity, reachability, and name resolution. You can use ping to test both the computer name and the IP address of the computer. If pinging the IP address is successful, but pinging the computer name is not, you might have a name resolution problem. Makes four attempts to contact the computer at the specified IP Address or with the specified computer name, and reports back whether the machine could be contacted and the time taken for the request to travel to the remote computer, be acknowledged, and the acknowledgement received by the local computer. Repeatedly attempts to contact the remote computer until interrupted by pressing Ctrl+Break or Ctrl+C. This is sometimes called a persistent ping. Displays detailed configuration information about a computer and its operating system, including operating system configuration, security information, product ID, and hardware properties, such as RAM, disk space, and network cards. The systeminfo command also reveals installed hotfixes and some information about the computer that isn’t readily available in Device Manager or other MMC Snap-ins, such as the BIOS version. Displays information about the local computer. Displays information about a remote computer named computername. Retrieves information about a remote computer named computername, but pipes the output of systeminfo to the find command, which returns only the line containing the string “System Model:”. This output in the command window shows only “System Model:” followed by the model of the remote computer. Shows MAC addresses for the local computer. Shows MAC addresses for a remote computer named computername while authenticating as a different user. Sends a message to a user (this may be turned off in many environments). Run msg /? for usage information. This entry was posted in IT, Microsoft, Nonsense and tagged network, troubleshooting, Windows 7 on 23 September 2012 by Oliver Baty.